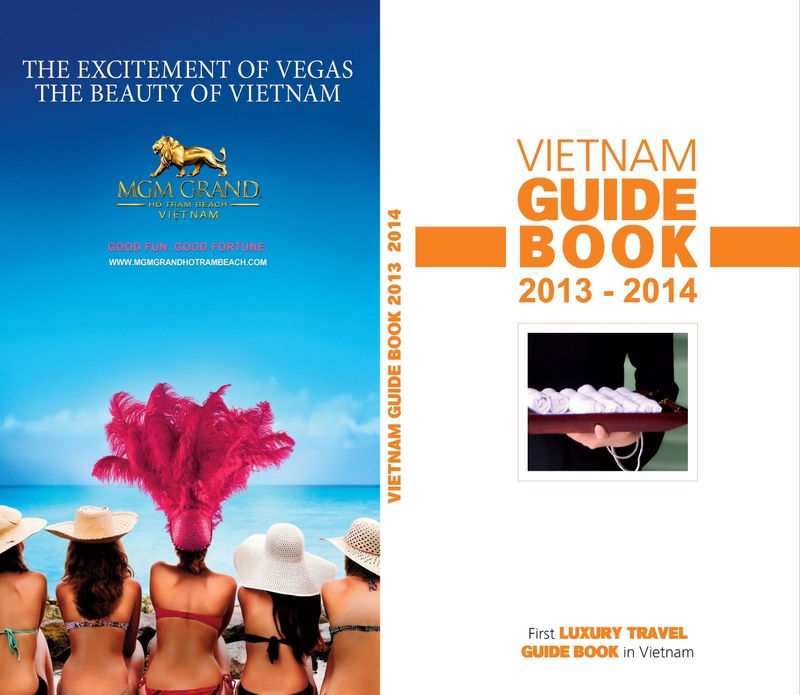 LUXURY TRAVEL LTD. UNVEILS THE LIMITED EDITION VIETNAM LUXURY TRAVEL GUIDE BOOK. (TRAVPR.COM) HANOI, VIETNAM - February 26th, 2013 - The number of high-end travelers to Vietnam has continued to increase as more people seek luxury travel experiences in this exotic land. Luxury Travel Co., Ltd. is Vietnam’s first luxury travel operator, announcing the publication its second version of the “Luxury Travel Guide Book” for travel professionals and seasoned travelers. The guide book is passport to the brand's impressive ensemble of Vietnam’s finest hotels and resorts, restaurants, shops, clubs, bars, inspirational travel experiences and optional tours. It unlocks the timeless hidden charms of Vietnam's most breathtaking landscapes, properties and geographical regions, from North to South. The new pocket-sized guide holds insight that is truly unique, distilling insider advice on the types of unforgettable experiences that travel professionals, locals and the most seasoned travelers enjoy. The Vietnam Luxury Travel Guide Book is a visually stunning journey through the country's most treasured destinations, featuring shopping and dining recommendations, cultural happenings and insights from the award-winning Luxury Travel Advisor Team. “The Luxury travel guide book is to help our travel partners in their promotional efforts and to make the job of selling these destinations easier, as well as to let our in house guests find the right experiences while traveling with us. We have filled the pages of our guide book with as much useful information as we can, while at the same time, keeping it interesting and enjoyable to read. We ensure a memorable travel experience for all travelers to our country. As the leader in the luxury tourism industry, we promote Vietnam as an emerging luxury travel destination on the world tourism map. Free copies are available at ITB Berlin 2013, Hall 26A/122” said Pham Ha, founder and CEO of Luxury Travel Ltd. LUXURY TRAVEL LTD. REVEALS ITS BEST SELLERS OF INDOCHINA IN JAN 2013.